Mangoes have a sweetness and perfume that is undeniable appealing, especially for us Asian, we simply love Mangoes. Mangoes are apparently the most widely consumed fresh fruit in Asia ad in the world! There are over fifty varieties but here is the states the best mangoes are "Kent mangoes". Kent mangoes are sweet and do not contain any fibers, they are very smooth and simply delicious. 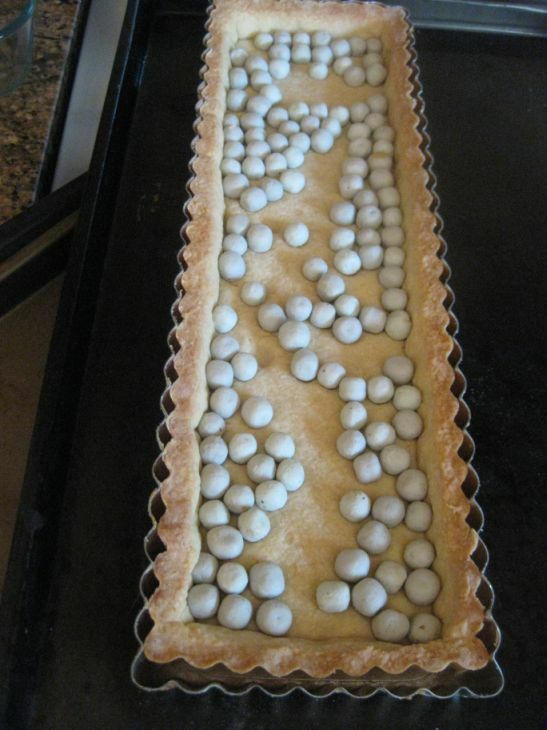 To make the tart a bit on the exotic side I decided the make a coconut cream filling instead of the traditional Crème pâtissière. The tart was a hit! 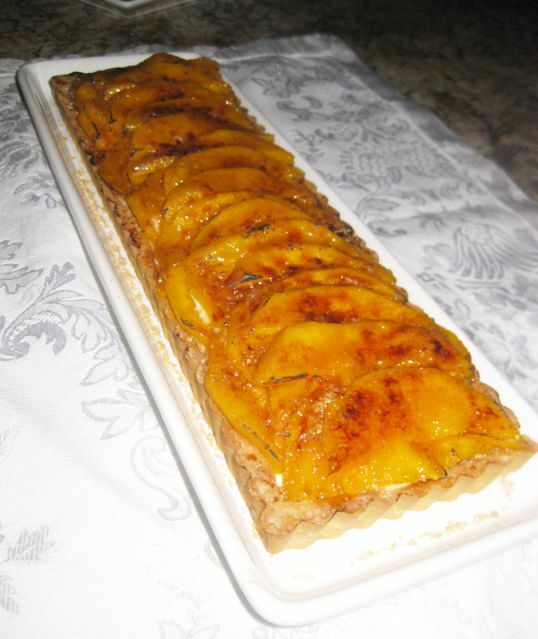 Everyone like the subtlety of the coconut cream combined with the sweet caramelized mangoes! 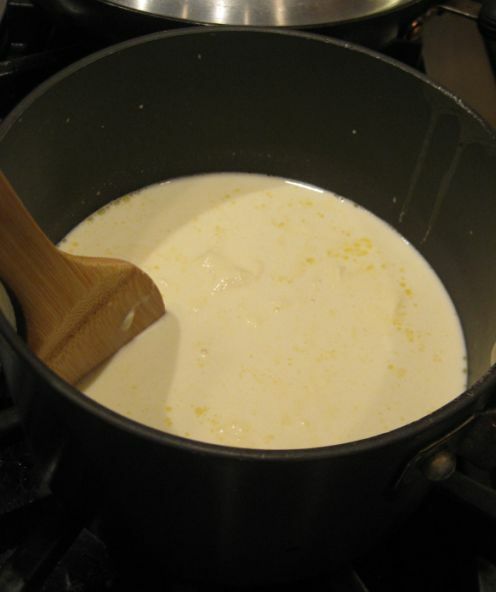 Pour the coconut milk in a medium saucepan over medium heat and bring to a boil and turn the heat off. 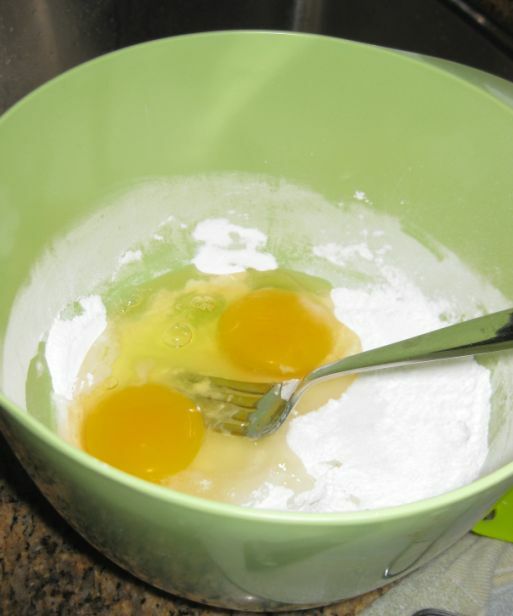 Whisk the egg yolks, sugar and cornstarch in a large bowl until the mixture is pale and fluffy. Pour the egg mixture back in the sauce pan and bring it to boil over medium heat. 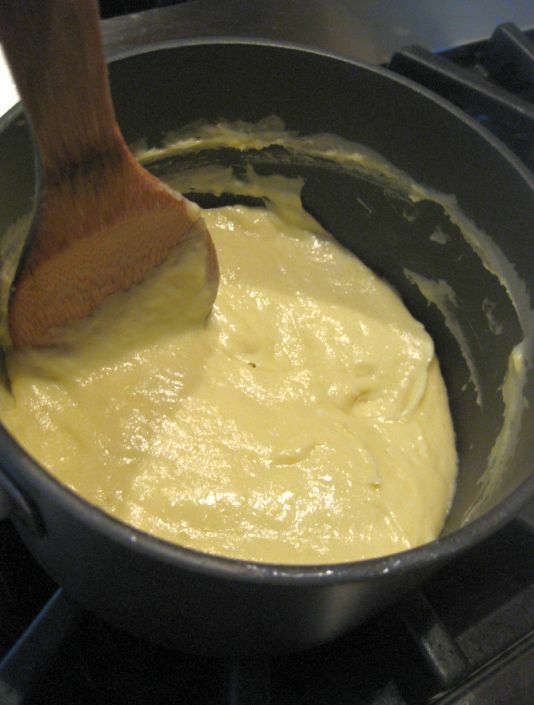 Whisking constantly until it begins to thicken about 1 to 2 minutes. Once the mixture is thicken and bubbling, whish for 3 to 4 minutes so that the starch is cooked through and the mixture is smooth. 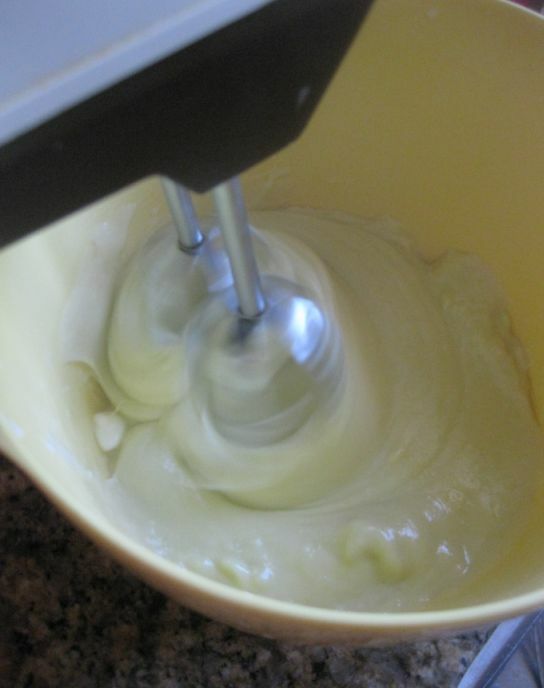 Transfer the hot mixture to a bowl and whisk with the paddle attachment over medium speed. Slowly add the butter a little at a time. Continue to mix until smooth and fully blend -3 to 4 minutes. Put a plastic wrap on top surface and set aside. When the mixture has cooled down, refrigerate for a least 1 hour. 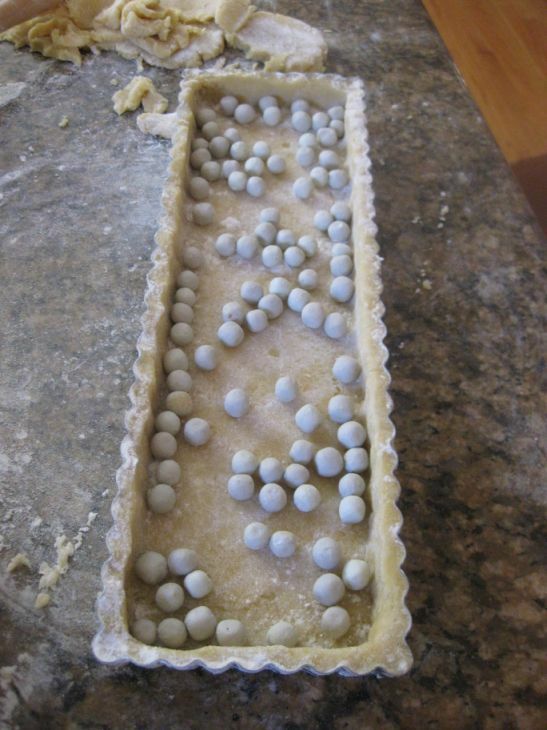 Put weight inside the mold and bake the tart in a pre-heated oven at 325 degrees for about 20 minutes. Freshly out of the oven. 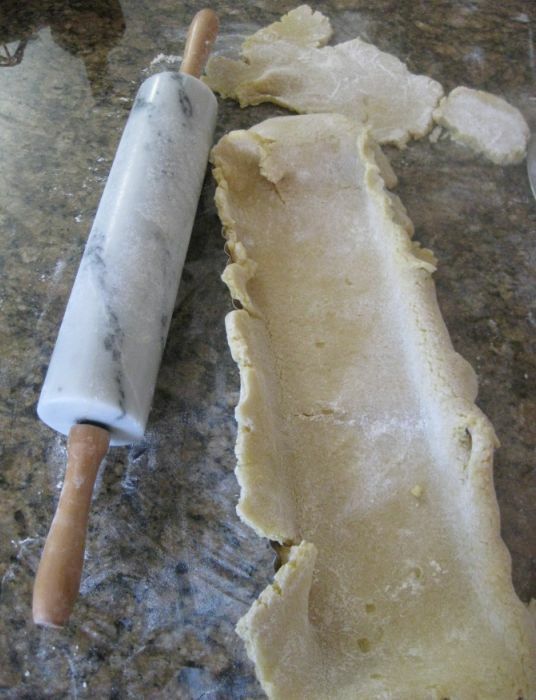 Remove the weight and let the dough cool down. 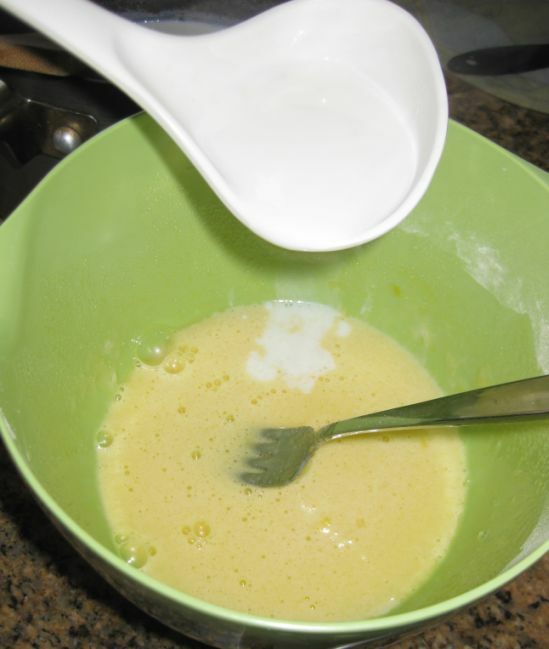 Whip the heavy cream until medium peaks (about 1 minute). 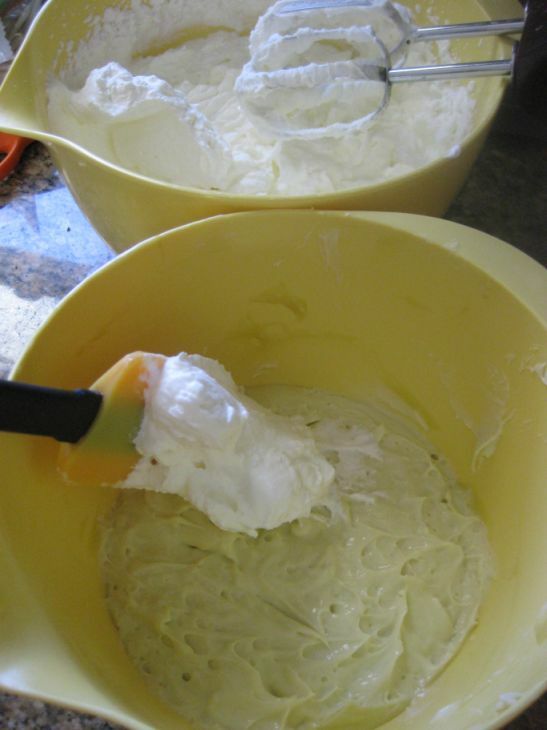 Remove the bowl in the refrigerator and fold the whipped cream in the cold coconut cream. 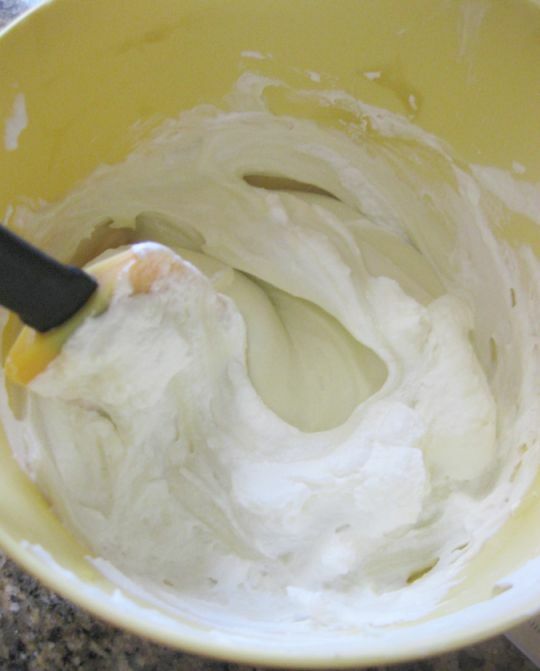 One third at the time and make sure the cream is uniformly combined. 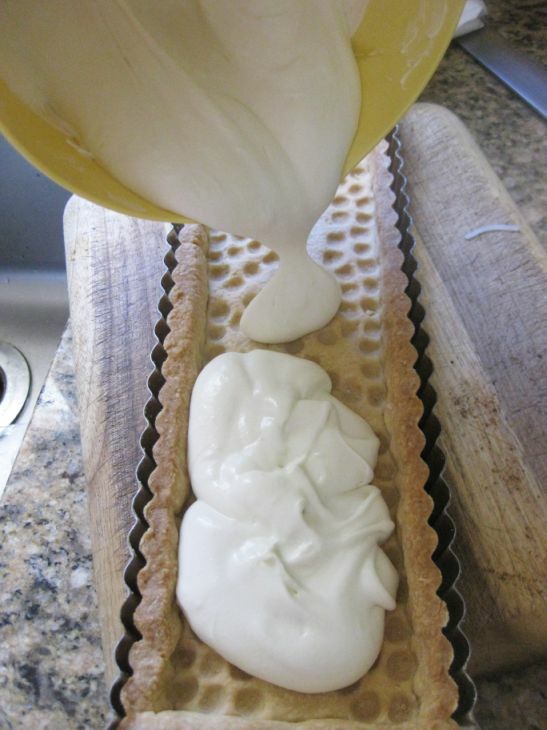 Pour the coconut cream over the tart. 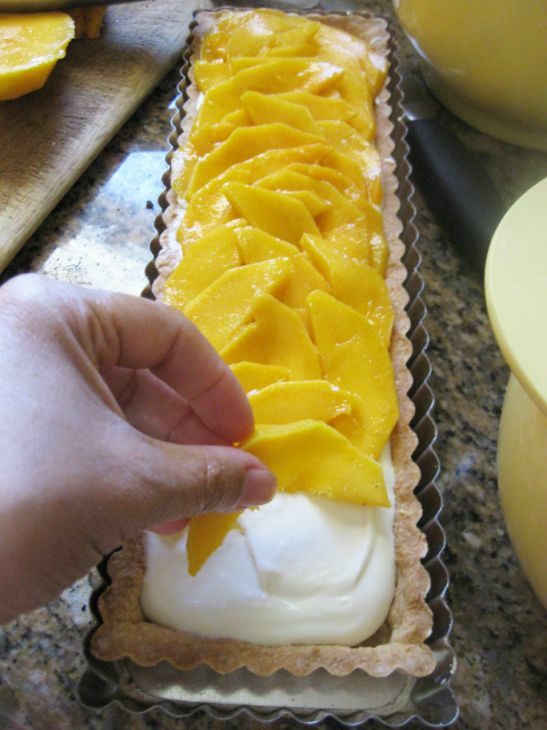 Cut the mangoes into slices and spread them out on top of the coconut cream. 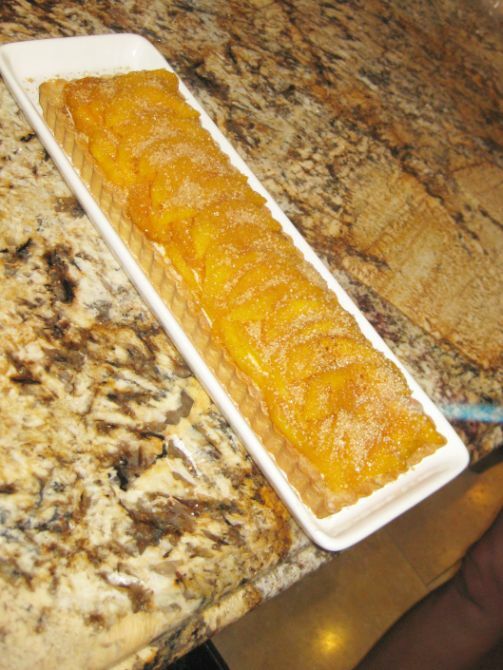 make sure the layer of mangoes completely covers and that no coconut cream is visible. 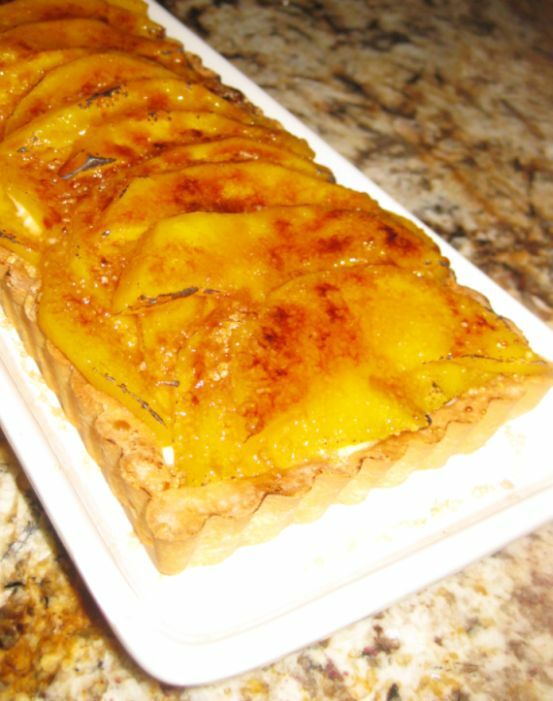 Remove the tart from the refrigerator and sprinkle the turbinado sugar over the mango slices. Using a blow torch caramelized the sugar and serve immediately. 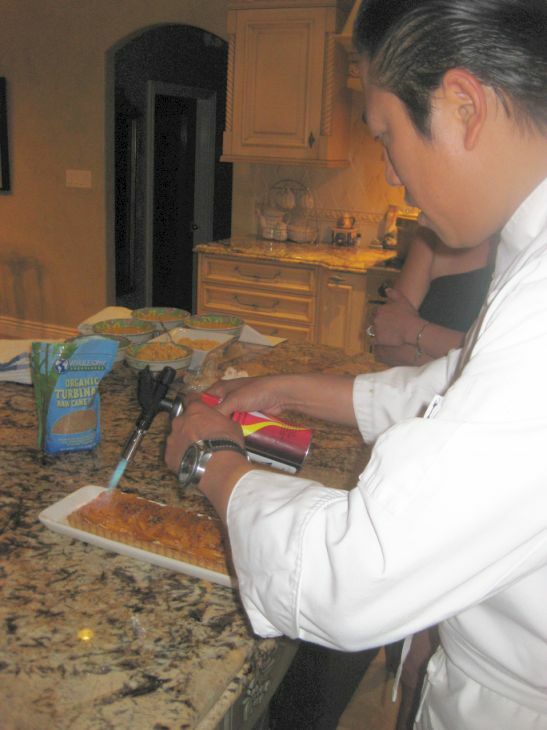 Here Chef John Tran is helping caramelized the top of the tart. His blow torch is a lot more powerful than mine so he is helping me out.